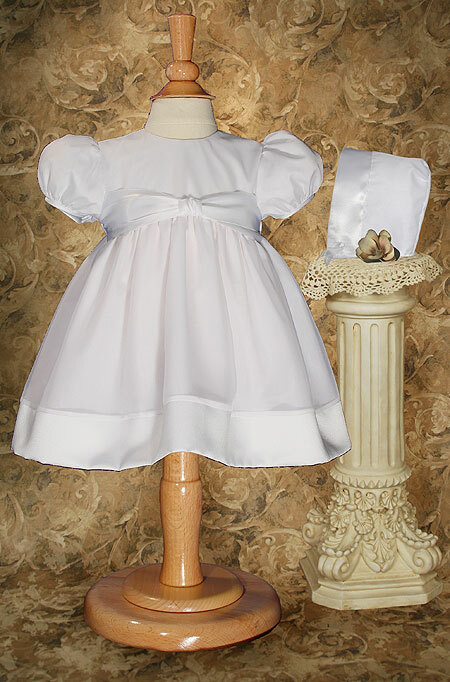 Sweet 16" organza overlaid baby dress with satin hem and waistband. Includes matching bonnet. 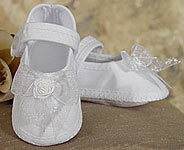 Made of in the USA of poly cotton and poly organza. Hand wash. Ships on plastic hanger with poly bag covering. Heirloom Preservation Bag recommended for long term storage.